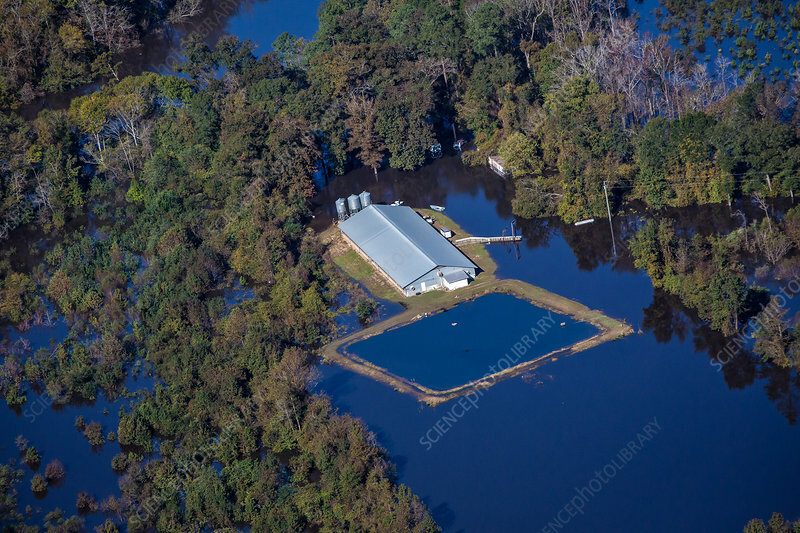 A swine factory with animal confinement buildings nearly underwater in North Carolina in the aftermath of Hurricane Matthew. The factory is situated next to the Neuse River. The manure lagoon (lower right of centre) normally appears pink, but is the same colour of the floodwater, indicating that the lagoon was overtopped in the flood. October 17, 2016.